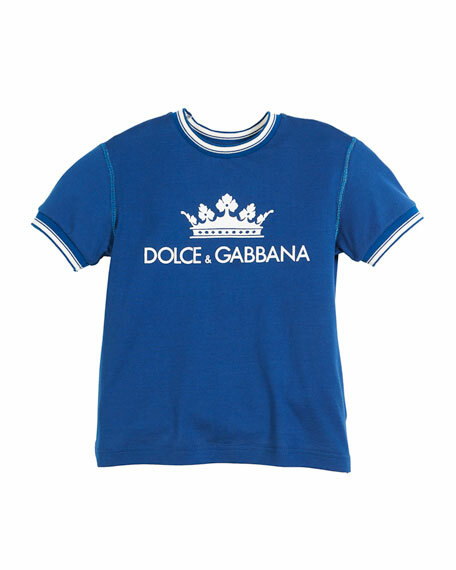 Dolce & Gabbana boys' T-shirt with crown and D&G logo print on front. Striped crew neckline and banded cuffs. For in-store inquiries, use sku #2647350.